Whether it’s a sudden set of symptoms or a chronic illness, you need a medical team that genuinely cares to stand beside you. Crete Area Medical Center offers compassion, integrity, and the utmost professionalism when it comes to caring for your health and happiness. 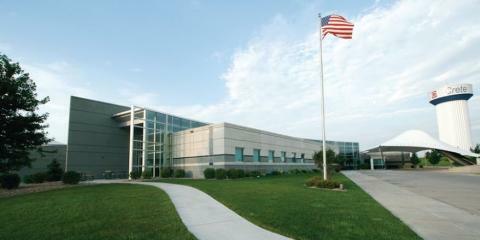 Located in Saline County, NE, this 24-bed, critical access hospital offers inpatient and outpatient services, along with a variety of specialty clinics. Receiving quality care and tracking your progress has never been easier, thanks to their state-of-the-art emergency room and online patient portal. With specialties like cardiac rehabilitation, chemotherapy, and respiratory and physical therapy, Crete Area Medical Center accurately and promptly treats a vast number of symptoms and illness. This regional hospital thoroughly assesses and listens to the concerns of each patient, providing them with a personalized treatment plan that promotes total healing and long-term wellness. When you trust Crete Area Medical Center with your family’s health, you are choosing board-certified medical professionals focused on delivering the best care possible. Call (402) 826-2102 to schedule an appointment or visit them online for more information today.